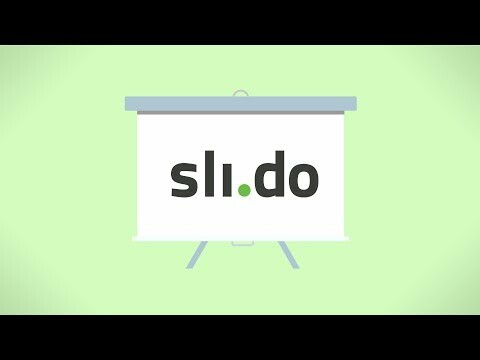 Slido is an audience interaction platform for meetings and events. It allows meeting and event organisers to crowdsource top questions to drive meaningful conversations, engage participants with live polls and capture valuable event data. Since its foundation in 2012, Slido has helped to transform over 160,000 events across more than 100 countries by engaging millions of participants. Slido has been adopted by a number of renowned conferences, including SXSW, Web Summit and Money20/20 and has worked with high-profile clients including Spotify, Lufthansa, BBC and Oracle. Headquartered in Bratislava, Slovakia, Slido has a team of more than 120 people, with offices in London, New York, San Francisco and Sydney. One time purchase ranging between $199 and $999, and / or subscription that costs between $55 and $165. Price may vary depending on commitment and so on. Slido was added by jurajholub in Apr 2015 and the latest update was made in Nov 2018. The list of alternatives was updated Jul 2018 There is a history of all activites on Slido in our Activity Log. It's possible to update the information on Slido or report it as discontinued, duplicated or spam. Imakiku is an audience response system for real-time voting, posting comments, and surveying. Service of interactive presentations includes polling, questioning, sharing files, getting feedback and audience’s questions by means of using participants smartphones. Engage Your Audience and Capture Real-Time Feedback on Any Device. Easy to use, integrates with PowerPoint, accessible anywhere. Alternatives to Slido for Web, iPhone, Windows, iPad, Android and more. Filter by license to discover only free or Open Source alternatives. This list contains a total of 25+ apps similar to Slido. Maybe you want to be the first to submit a comment about Slido? Just click the button up to your right!